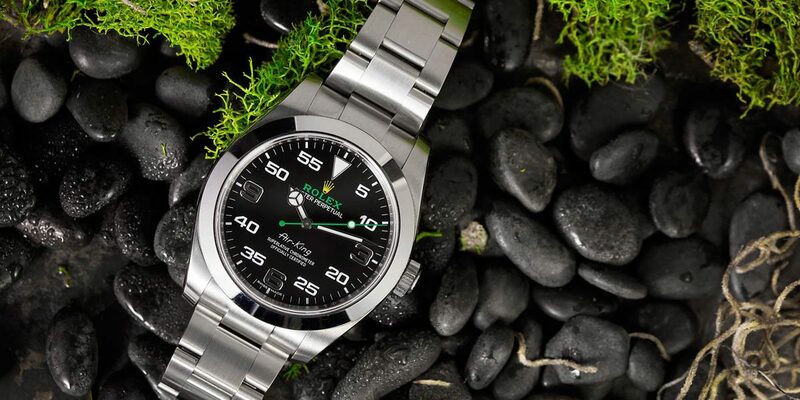 The new Rolex Oyster Perpetual Air-King ref. 116900 is fitted with the legendary Oyster bracelet with satin-brushed finish. 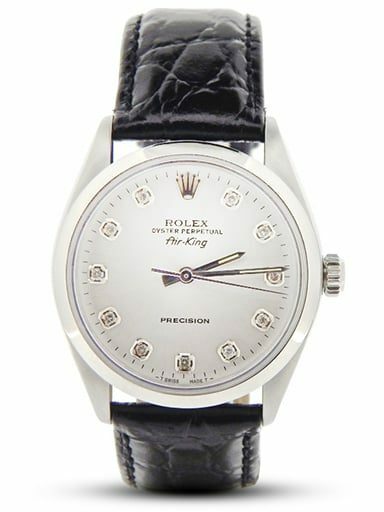 The bracelet features solid links throughout and is fitted with a folding Oysterclasp equipped with the Easylink system that allows the wearer to extend the last link on the bracelet by 5 mm.The Rolex Air-King, for most of its very long history, was the simplest, least expensive Rolex, but also in some ways the purist’s Rolex. With no date, a 100 m water resistant case, screw-down crown, and chronometer certification, it had every essential attribute that makes a Rolex a Rolex, with no distractions. In 2014, however, it was discontinued, and its status as the entry level Rolex as well as the purist’s Rolex was taken in 2015 by a new version of the Oyster Perpetual. In 2016, however, the Air-King returned and it is emphatically not your father’s Air-King. 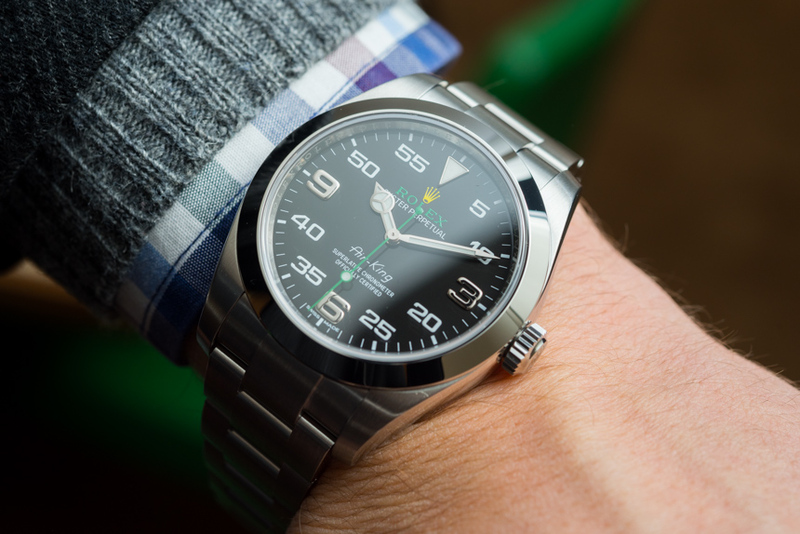 With a 40 mm case, new “Superlative Chronometer” certification, complete overhaul to the dial, and the same arrangements for resistance to magnetism as the Milgauss, it may be an Air-King in name, but in the hand and on the wrist, it’s an almost entirely new watch.